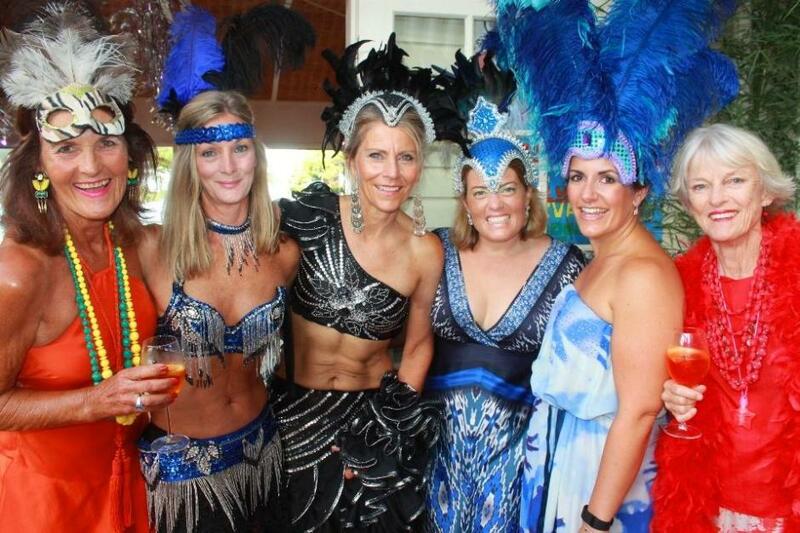 Keeping the 'Fun' in Fundraiser has always proved to be a winning formula for the Ladies Committee and then the Pacific Club Ladies when that was established as a place for women supporters of Palm Beach SLSC. 2016 marks the 79th year of these events and activities run through and around the Pacific Club. Prior to this an annual Winter Ball in the city attracted 500 or more as a fundraiser. The emphasis at all these functions was on giving 110% into the planning and decorations and hosting - and each, reported in detail in social columns from the table decorations to the fashions worn or themes being celebrated, unsurprisingly, was a huge success that furthered future fundraising events. These dances of many themes in the 'ballroom' of the Pacific Club, as named in some reports, raised significant sums from the outset, supporting the Palm Beach SLSC Life Savers with everything from equipment purchase and maintenance to lifesavers wages, or furniture inside a clubhouse or any of the thousands of other works that need to be done so life savers may do their work. Looking for Avalon Beach SLSC Ocean Swim - Palm Beach SLSC Brats - Brutes - Bruisers Carnival or Pacific Club's January 2016 Carnival photos for your Family Albums? Pittwater Youth Consultants Evan Yii and Josh Wijnen, along with headspace Brookvale’s Jess Lawson and Dan Brown and Andrew Marselos from Pittwater Council’s Youth & Families Community Team- A J Guesdon photo. Pittwater Council is really stepping up to the mark regarding providing services and events for our younger residents this year, with plans for Mona Vale Skate Park announced in 2015 and Council selecting a preferred tenderer for construction of the Mona Vale Skate Park in December 2015. The skate park will cater for the interests, needs and safety of current and future generations of skate facility users including skateboard, BMX, scooter users and rollerskaters. On Monday this week, January 11th, the Pittwater Youth Facebook page announced entries are open for the 2016 ShoreShocked Music Festival Battle of the Bands Competition (closes January 31st) and on Wednesday details about a ShoreShocked Beaches Album Cover Competition (closes February 5th) for those who like dabbling in painting or photography or many other mediums was opened. Youth Week (April 8-17, 2016) is set to be bigger and better in Pittwater this year too with Village Park at Mona Vale hosting all sorts of activities such as music, movies and an inflatable wave for great fun and yes, there will be another Skate Comp. this year which will actually comprise three Skate Comps across Manly, Warringah and Pittwater. Beginning in the Spring Holidays of 2015 and culminating in the National Finals held this week at North Narrabeen, famous spiritual home and site of many past "Classic" surfing competitions, the annual Surfing Australia - Rip Curl GromSearch series has attracted and launched some of the world's and Australia's best surfers. Developed from a three-day event in Victoria first run in 1999, the series has become an international series of events for 16 year and under surfers around the world with Rip Curl GromSearches run in over 10 countries each year. 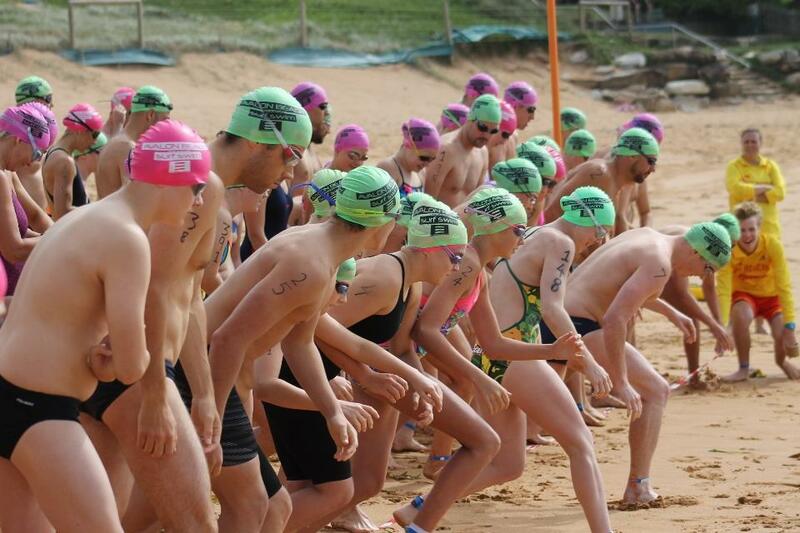 The five-event series started at Maroubra in Sydney on September 24-27 before heading to Jan Juc, October 2-4 (VIC), Trigg Point October 9-11 (WA), Yorkes Peninsula (SA) on November 9-11 and the Sunshine Coast (QLD), December 14-18. Leaders on the National Ratings then qualified for the Rip Curl GromSearch National Final, to be held at North Narrabeen in Sydney from January 11-13, 2016. 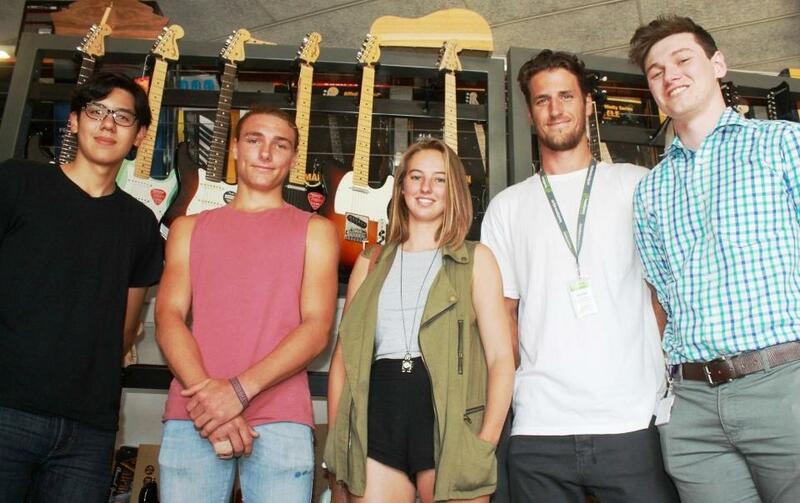 There was a strong representation of Northern Beaches and Central Coast surfers at all five qualifying events prior to Wednesday January 13, 2016's deciding day, with some 1st's for Pittwater sister's Bodhi and Cedar Leigh-Jones in the Western Austrailan Comp, and for Cedar in South Australia, where Queenscliff surfer Alysse Cooper also finished 1st in the 16's. Interestingly the girl who took 1st in the 14's Girls at the first event at Maroubra, Piper Harrison, also took 1st as the GromSearch Champion in that division for 2015 on Wednesday. Northern Beaches girls were in all quarter-finals, with Bodhi Leigh-Jones making it through to semis and Cedar taking out 2nd in the 12's. The Boys divisions also had some locals names recurring throughout the series Results but, as always, it was the fantastic surfing and the great times had that we all love to see captured on film and in pictures. Included in the National Final reports and Results run this week are those from all the events prior to this one so you can see how and why these great waves of the Australia's surfing future landed on our shores this week. Royal Prince Alfred Yacht Club and Objective Australia Youth Sailors Natasha Bryant and Annie Wilmot won the All Girls division and secured 2nd overall in the Australian Youth Championships as part of the SPLASH Festival this week, moving up a place from the 3rd they won at last week's 29er Nationals, also part of the SPLASH Festival. The win means they are first All-Girl team in their divisions for the second year running. The 2015 NSW Youth Championships 420s winning team, Charlotte Griffin (MHYC) and Chelsea Connor (RPAYC) also excelled, taking the Bronze in the 420 Double Handed. RPAYC Youth Sailors made a strong showing in the Laser 4.7 with six members of the Pittwater club getting some great competition experience among their peers. The 2016 SPLASH ('Sail Play Live Across Sydney Harbour') Festival, encompassed the 2016 Australian 420, Zhik Australian 9er, Australian I14 (January 1st to 8th, 2016) and the Australian Youth Championships (January 9th to 14th, 2016), was hosted by Woollahra Sailing Club and sailed on Sydney Harbour. The SPLASH Festival Australian Youth Championships were four days of competition, where sailors competed for their respective class Championships. The AYC is also an important qualifier for the Australian Youth Sailing Team. The team is selected based on performances across multiple events, including the AYC, Australian class championships and Queensland Youth Week. 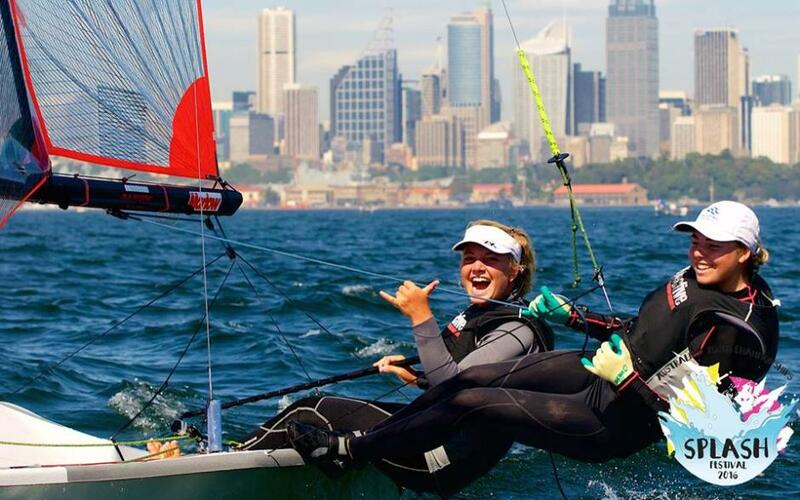 The sailors who earn selection to the Australian Youth Sailing Team go on to represent Australia at the World Sailing Youth World Championships (formerly ISAF). Next year’s edition will be held in Oman. Woollahra Sailing Club and the SPLASH Festival pass the torch to the Adelaide Sailing Club, who will host the 2017 Australian Youth Championship. 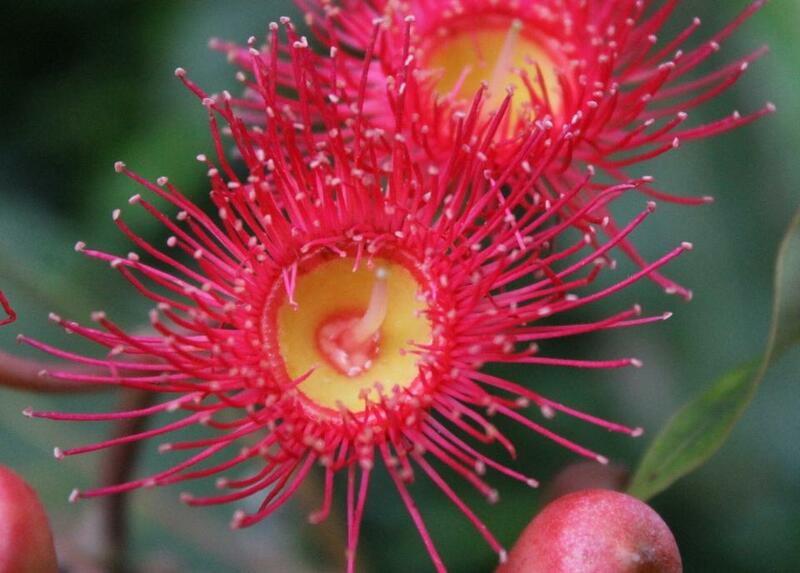 Eucalyptus 'Summer Red' also called Eucalyptus 'Summer Beauty (Flowering Eucalyptus) - out this week in Pittwater - A J Guesdon photo, 2016.